We don’t know about you, but we love to learn about words — their meanings, their origins, and how they shape our world. In each issue of Response, we ask a campus expert to explore a word related to the magazine’s theme. By making a competition with myself when throwing away trash, I infuse a game principle into a nongame situation. This is what we mean by “gamification”: the addition of game elements, mechanics, and principles to nongame contexts. One example of gamification is the My Starbucks Rewards program, in which customers are given incentives to buy certain products. They can earn badges and rewards by reaching specific goals, and they can even share their successes with the touch of a screen. This turns shopping into a game, enriching customer experience. Most of us like to play games, and playing improves our motivation and performance. Gamification seeks to capitalize on this by providing a game-like element to a nongame situation. In the classroom context, we want to make learning more fun and give students opportunities to own their education. Instead of simply advancing through sections in a textbook, students might envision themselves on a quest to conquer the course material, moving through the game map, advancing levels, gaining experience, and earning rewards. 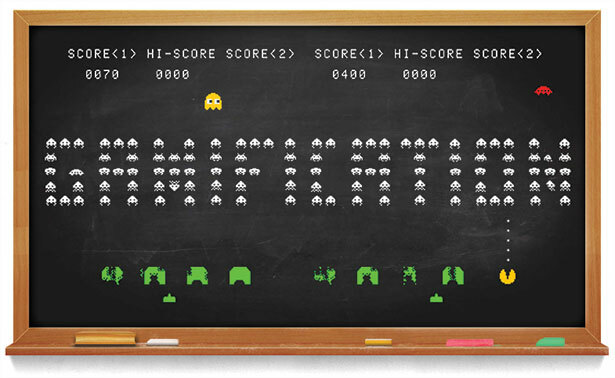 Gamification of the classroom is not simply playing games in class — that is known as gamebased learning — but rather, making the entire course feel like a game. What student wouldn’t revel in the thrill of winning in their classes? Of mastering new challenges and bolstering their experience, while at the same time learning new and fun material? We know we would!